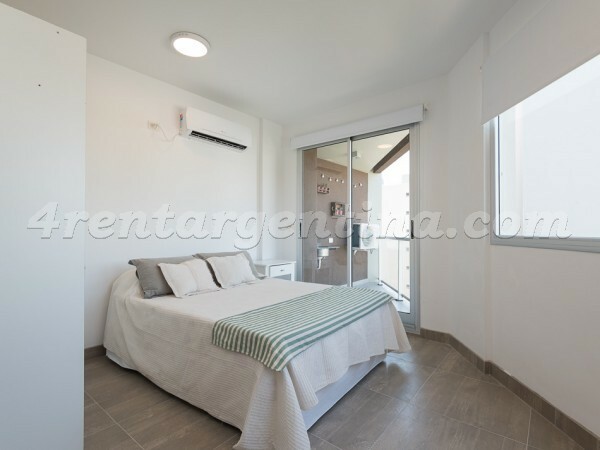 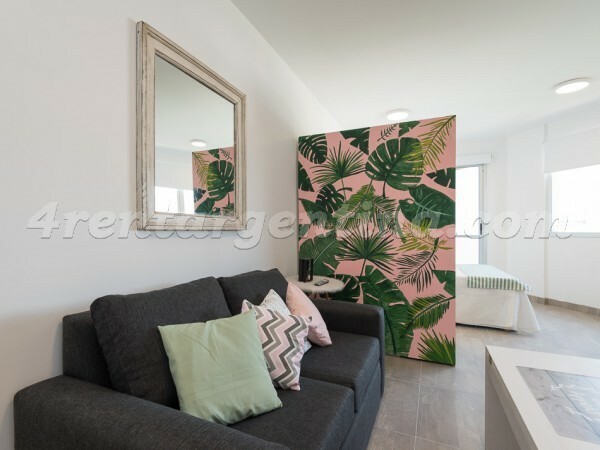 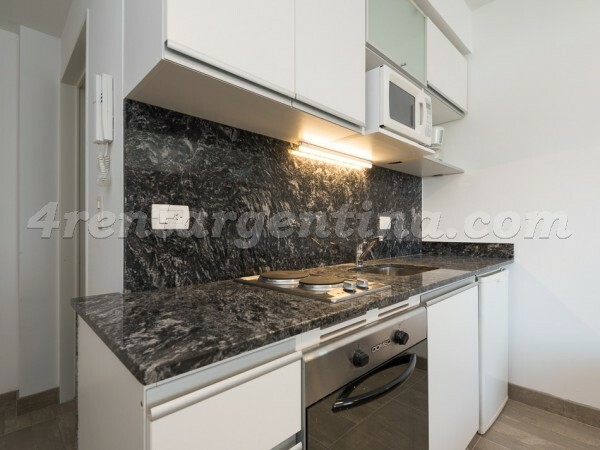 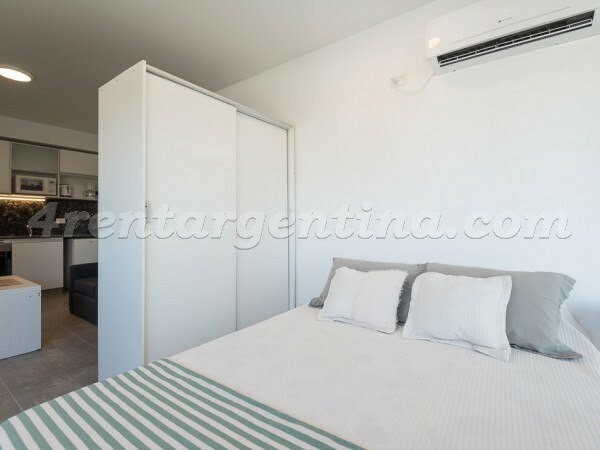 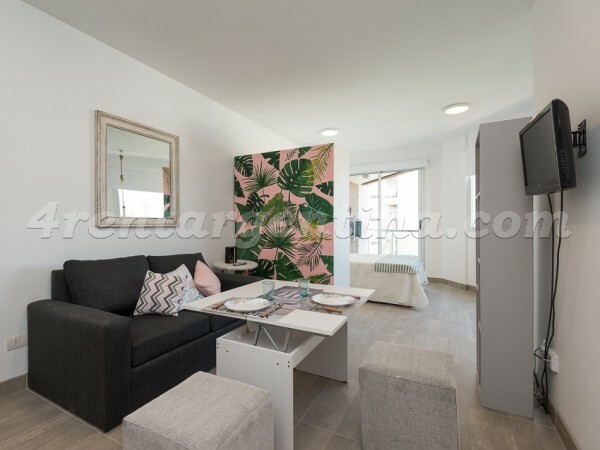 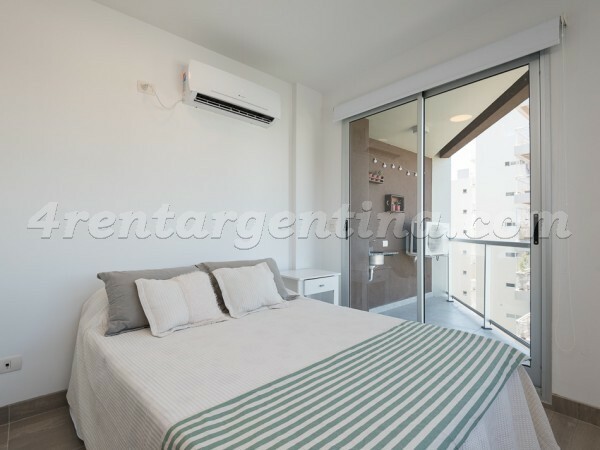 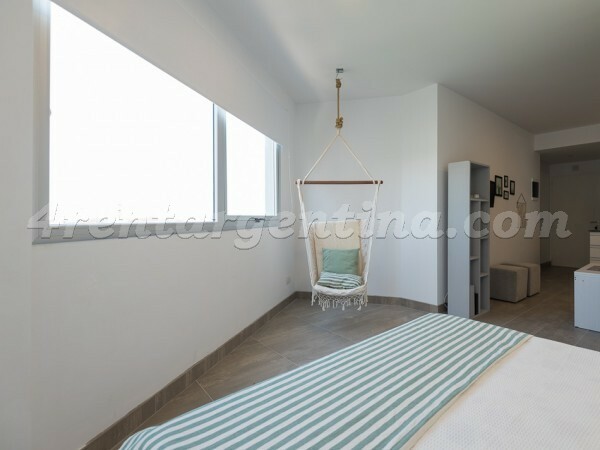 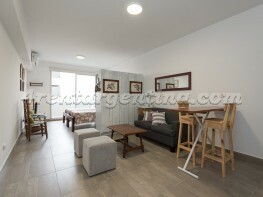 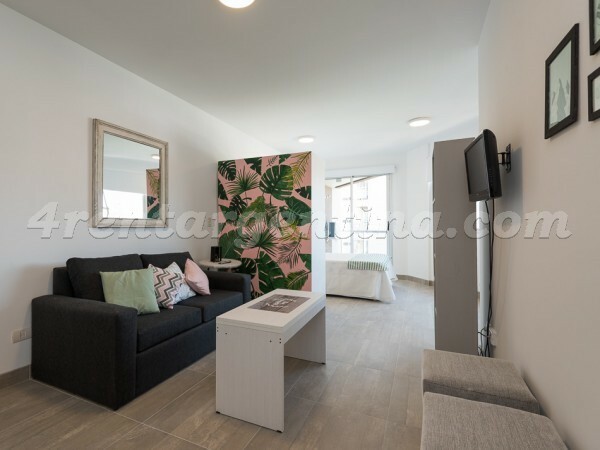 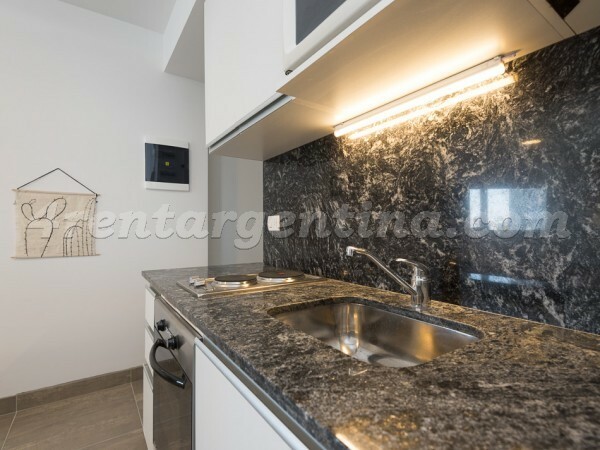 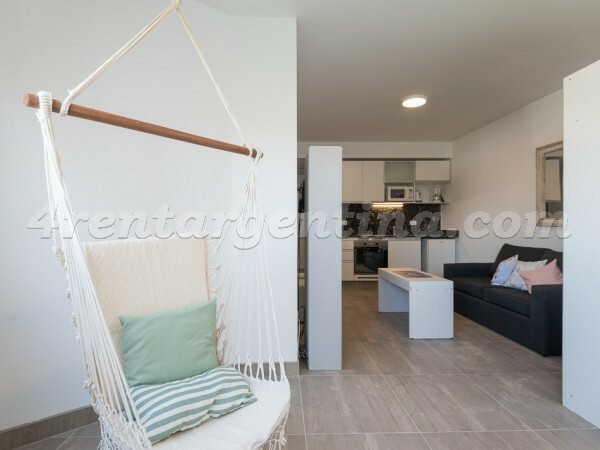 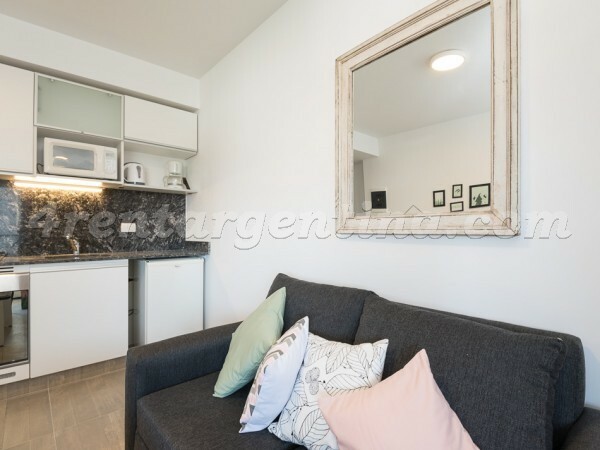 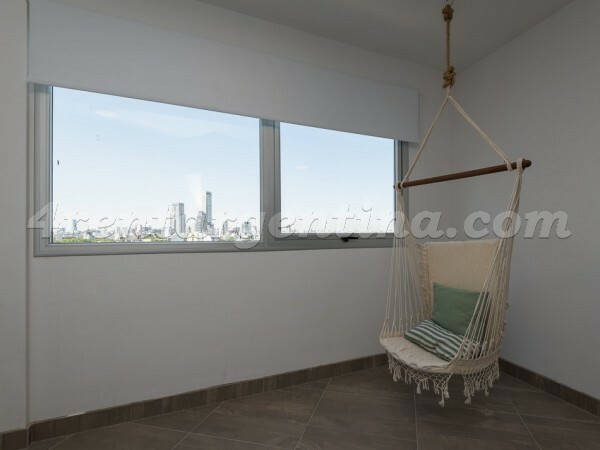 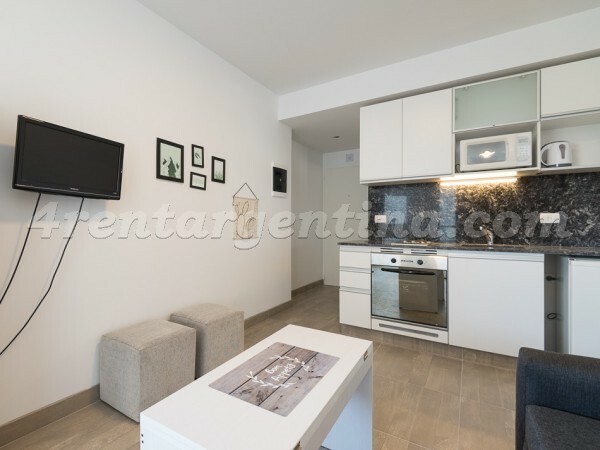 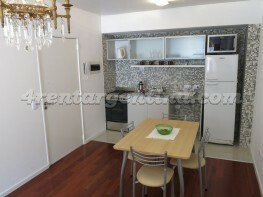 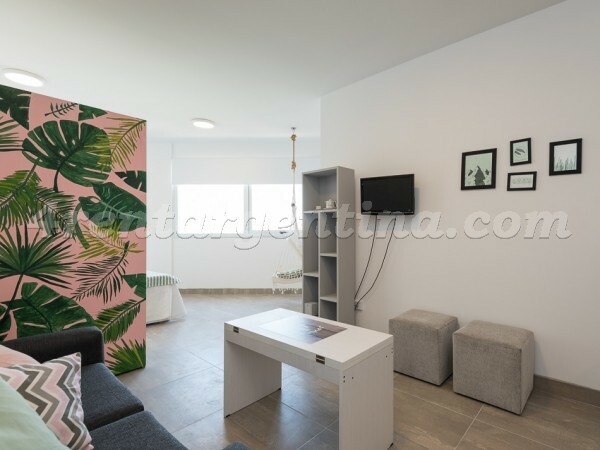 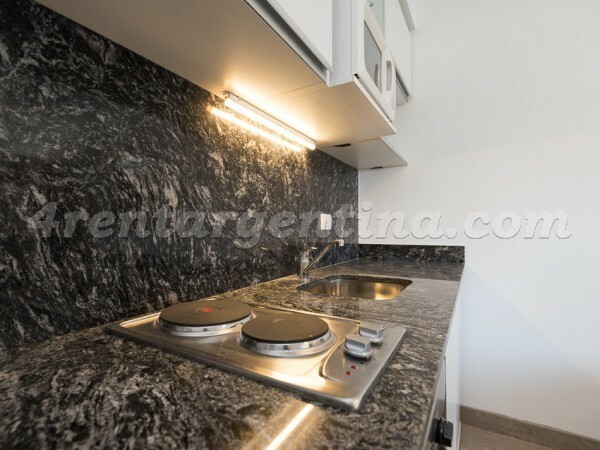 Modern furnished apartment for temporary rent in Buenos Aires, located in the popular neighborhood of Palermo, two blocks from Niceto Vega Avenue and three blocks from Cordoba Avenue, an area surrounded by restaurants and bars ideal for a night out. 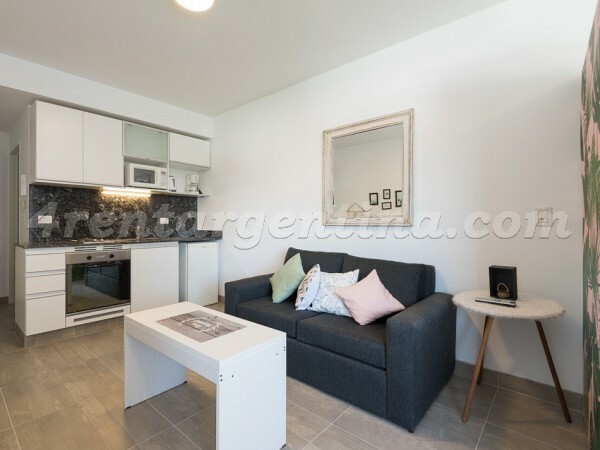 This comfortable studio its perfect for two people, since it has a double bed, a kitchen equipped with a microwave and an electric stove, a bathroom with bathtub and a luminous balcony. 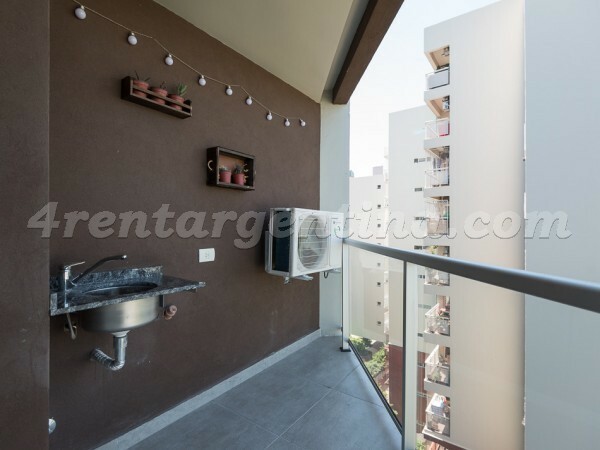 The building has a swimming pool and a terrace with a grill.